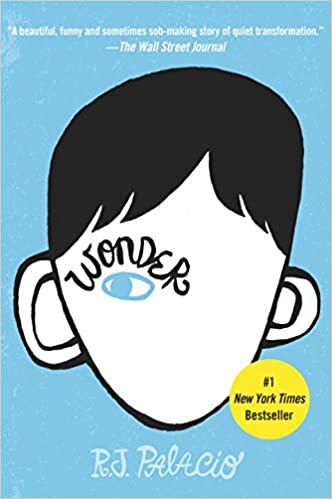 Add the Book “Wonder” to your Tween’s TBR Pile! Hello everyone! I hope all is well with you! I’m Lisa Orchard the bestselling author of “The Super Spies” series and I’m here today to recommend an awesome book for your tween. Back in March, I read the book “Wonder.” So did my son. There were many lessons in that story and my son and I got to talking about a few of them. It was nice to have that kind of dialogue with him, and I chalked it up to a bonding moment between us. The story is about Auggie Pullman, he has a birth defect that makes his face abnormal in appearance. He’s been homeschooled his whole life, but now he’s being mainstreamed into a public school. It’s the story of how Auggie deals with his peers reactions to his disability. It’s heartbreaking at times and you really feel his pain. It’s also triumphant, because Auggie never quits even though he wants to. He’s a strong “little dude” and his strength shines through. This is an incredible story of perseverance, empathy, and friendship. Lessons we all want our tweens to learn. I highly recommend this book. The cover and blurb are below. How about you? Do you have any great book recommendations for tweens? Actually, my daughter is packing around a book by Lisa Orchard! What a wonderful sounding book, Lisa. I’ll have to check out ‘Wonder’ myself. I’ve just finished reading two great tween reads: Black Lighting by K. S. Jones (a science fiction adventure geared for boys) and The Curse at Pirate’s Cove by Rita Monette (the second in her Nikki Landry Swamp adventure series for girls). Cheers and thanks for the suggestion! My TBR pile is growing! Those both sound like excellent books. I’ll have to check them out for my boys! Thanks for the suggestion! I’ve heard some really great things about this book. I’ve considered adding it to next year’s homeschool reading curriculum.